IRISH WATER HAS recently issued a small Irish business a bill of over €200,000 for three months. The bill was issued to the business which doesn’t use water as part of its day-to-day operations. The owner of the business has contacted Irish Water about the charge and was told that it was a mistake and they will not have to pay the huge bill. When TheJournal.ie asked about how a bill could be issued for this amount, Irish Water said it could not comment on individual accounts. It said that a larger than usual commercial bill could indicate a leak in the pipes, which Irish Water are in charge of repairing. It could also be the cause of an outstanding payment which is only now being flagged because of billing services changing hands from local authorities to Irish Water. Before Irish Water was established, county councils billed businesses for their water services. When the utility was set up in 2014, they took over responsibility for providing public water services to business customers, but councils continued to issue bills on behalf of Irish Water. “In July 2016, a process began to transfer this billing process to Irish Water. 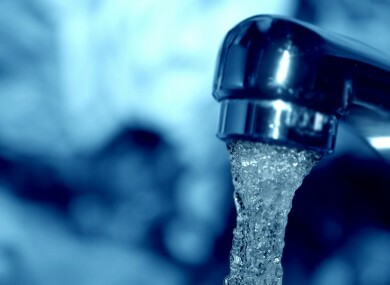 A total of 24 local authorities have now transferred billing to Irish Water and work is continuing on the remaining seven local authorities,” a spokesperson said. Bills will now be issued from Irish Water directly; the utility will be responsible for water supply, wastewater treatment and business account management. Charges for business customers, credit terms and the frequency of billing remained unchanged while this transition took place. When customers are transferred from their local authority to Irish Water, they receive a welcome letter which includes any outstanding debt owed to Irish Water and payment options. Irish Water have already issued around 50,000 bills since July. After 30 days customers who had not arranged payment received a reminder by phone where possible or letter. “Irish Water are keen to engage with customers and advise and support them in settling their accounts. This process is essential to ensure that businesses are compliant with their bills and to ensure that all businesses are treated in a fair and equitable manner. Irish Water also conducts a pre-billing audit process to compare a representative sample of current and past bills to establish any anomalies and flag those accounts for investigation. This means that if there’s a huge amount being billed for this month when compared to the previous month, the system flags the account to be checked by an employee. If any business customer has a query relating to their Irish Water bill/account, they should contact the utility on 1850 778 778 or +353 1 707 2827 (9am-5.30pm). Email “Irish Water issued a small business a bill of over €200,000 for 3 months”. Feedback on “Irish Water issued a small business a bill of over €200,000 for 3 months”.